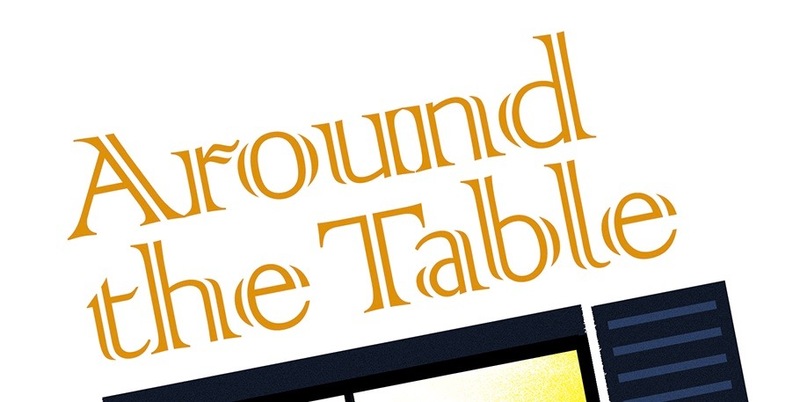 Around the Table Book: Three Great Ways To De-Stress Your Christmas! 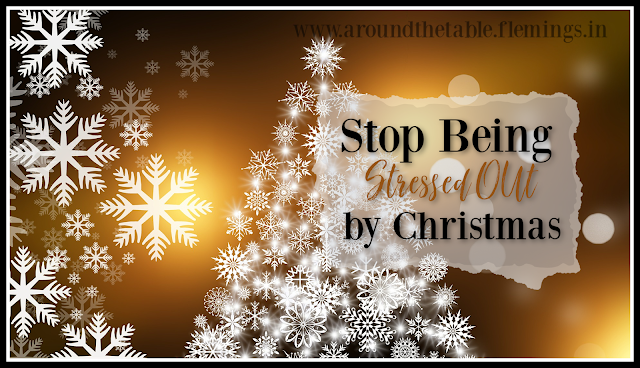 Three Great Ways To De-Stress Your Christmas! How is your Christmas season going? If you said "A" or "D" or "A and D" could you possibly just take the evening off to make it B or C tonight? Come on, this is supposed to be a happy, loving, joyful time of year. Pull back a little. Turn off the Martha Stewart recording in your head. Close down Pinterest. Put your to-do list aside for a few hours. I have some fun ideas for you. A few years ago my husband was traveling the beginning of December. My daughter was involved in a Friday night ministry and I was going to spend another December Friday night alone. I wrote in my Facebook status "If you are reading this, you are invited over tonight to watch A Christmas Carol with me." I had some expected guests and some I wouldn't have guessed would come. We were a small group. I made popcorn and we just relaxed together and got into the season. Are you and your friends behind on your baking? What's that? You can't face the work and mess? Besides you want some accountability on cookie dough snitching? Whip up 2 double batches of sugar cookie dough, wrap them well and stick them in the fridge. Get a hold of some friends and ask them to come over and bake cookies with you. Bribe them by telling them they can take 2 dozen they choose home with them. Play Christmas carols and cut, bake, and decorate. Your friends will help you wash the pans and wipe the counters I'm sure. If you don't have disposable plates, tell them to bring their own dish to take their cookies home in. Our brother-in-law started this. There was a very musical college student attending our church whom our brother-in-law invited over along with anyone who could come for a carol sing. But even if you don't have a musician handy, you just need someone who's not afraid to start the song and can basically carry a tune. Get copies of the words from somewhere (we sometimes borrow hymn books from church) or only sing first verse. Ask everyone to bring along some plate of snacks to share if they can, but come even if they can't. Provide coffee, tea and water if you can. Remember, we are trying to relax here! And sing yourself into the joy of the season! Do you find yourself saying, "But my family..." Get into the spirit yourself, get some other people over who enjoy it, too, and you'll be surprised what your family will do. 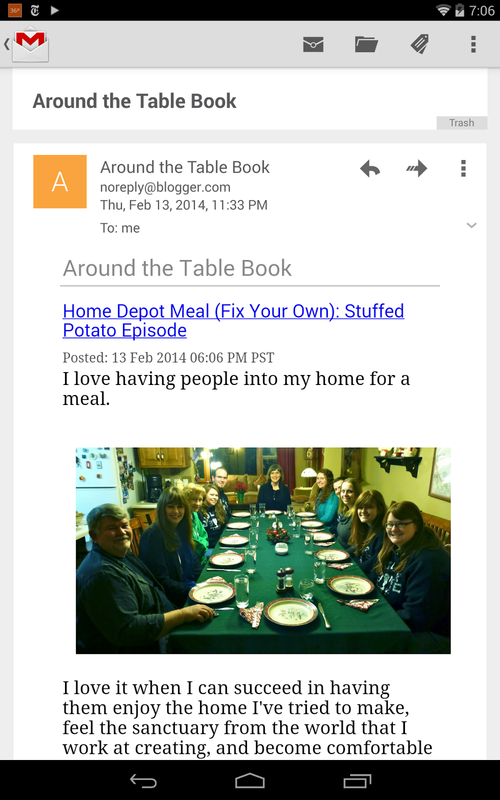 You might not be around the table, but you'll be connecting in a great way! Such cute ideas. Love the, “Let’s be tired together!” We went caroling with church last night! Each of these ideas embodies the true essence of Christmas. Simple life with people you love! Connections are everything at Christmas time, and I agree with you that we have to muzzle our inner perfectionist and just let the friends and family into our lives! Great ideas, Sharon! 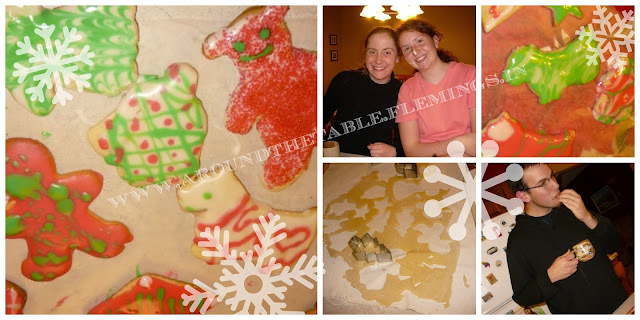 I especially love the cookie baking idea--with willing and fun dishwashers jumping into the act! Lol! That's what always bogs me down about baking cookies. I'll have to try it this Christmas! Thanks and pinned this, my friend!